To print a job description, open the tab for the job you want, then right click or hit Ctrl+P and choose "print." Strategic Alignment: Priority 4 – Create an organizational system that functions in support of the District’s strategic plan. Job Summery & Functions: Responsible for meeting the Naugatuck School District’s accounts payable obligations. Review invoices for all funds for appropriate documentation and approval prior to payment. Prioritize invoices according to cash discount potential and payment terms. Verify pricing and enter invoices into the system. Prepare check file for printing. Audit and process credit card accounts. Perform backup grant administration responsibilities as directed by the Business Manager. Perform backup purchasing responsibilities as directed by the Business Manager. Maintain thorough and accurate files in accordance with BOE policies, administrative regulations and accepted accounting practices. Creation and transmission of positive pay file to the bank. Reconciliation of outstanding check lists and bank accounts. Balance accounts (i.e. cafeteria bank account, Nutrikids, My School Bucks) and process any related journal entries. Complete quarterly reconciliations of payroll and accounts payable general fund accounts at the Board of Education with the Town Hall General Ledger. Handle matters in the Business Office in a professional and confidential manner. Assist with department projects and perform all other Business Office and related District duties as needed and at the direction of the Business Manager. Bachelor’s Degree or equivalent experience of 5-7 in a related field. Prior accounts payable experience strongly preferred. Job Summary: Perform secretarial and administrative support duties; organize and coordinate Superintendent’s activities and communications and organizing work of the Superintendent’s office. Assists and relieves the Superintendent of administrative details by carrying out communications and duties with minimum direction. Assists the Superintendent in the planning and development of meeting agendas and meeting packets. Assists in the development and coordination of the sections of the budget that pertain to the office of the superintendent and the board of education. Prepares office correspondence, composing letters as directed in a timely and accurate fashion. Handles telephone routines for the office with limited supervision, screening calls, responding to inquiries and returning messages. Process degree changes for teachers. Interns – contact for universities, schedule intern interviews with Superintendent and notify principals of placements. Maintain Board of education policy manual and distribute new and/or updated polices as necessary. Post all Board of Education meetings and send notices to all involved. Provides leadership and delegates work flow in the Superintendent’s office as requested. Maintains a schedule of appointments and makes arrangements for meetings and conferences for the Superintendent and Board of Education. High School Diploma or equivalent. Associates Degree or higher preferred. A minimum of seven (7) years previous office related experience involving a variety of responsibilities is required. Prior experience in an educational or school based setting is desirable. Highly proficient in the use of Microsoft Office programs including Word, Excel, Outlook, PowerPoint and other software program technologies is essential. Strong interpersonal and communication skills, a pleasant disposition are essential. district and in every school that supports the continuous improvement of teaching and learning. students, staff and the community. Promoted the goals of the Board of education, school mission and school improvement plan. Participates in maintaining the smooth functioning of the building. Maintains knowledge of Board of education policies and procedures pertinent to the operation of the school. Prepares a variety of correspondence, reports and other documents. Updates handbooks and publications. Assists the principal by providing information to support budget requests, changes and adjustments. May assist the principal in the evaluation of non-certified support staff within the building. Assists the principal during in-service and training and staff meetings. Organizes and manages special projects as assigned by the principal. Assist in the coordination of activities for summer programs or special initiatives for students. Assists in monitoring the distribution of testing materials within the building. Investigates building issues or topics and gathers and analyzes data for the principal. Perform all other administrative and/or support duties as assigned by the building principal. Demonstrated leadership qualities and personal characteristics for working effectively with students, teachers, administrators and parents. Previous experience in a school based or adolescence setting is a plus. Requires strong written and verbal communication skills, interpersonal and organization skills. Computer efficiency in Word and Excel as well as the ability to learn schools based computer software programs is essential. Priority 1 – Develop a shared and inspiring district vision with coherent strategic plan. Priority 2 – Create a rigorous academic program with a focus on continuous improvement of teaching and learning. Priority 3 – Create a safe, welcoming and respectful environment throughout the district and in every school that support the continuous improvement of teaching and learning. Priority 4 – Create an organizational system that functions in support of the Districts strategic plan. Priority 5 – Family and community engagement. The assistant superintendent as the chief operational officer of the district and key advisor to the superintendent and the Board of Education. The assistant superintendent is responsible for leading the district’s instructional programs resulting in continuous improvement of teaching and learning. The position is responsible for leading the district’s facilities, maintenance and security programs ensuring safe school climates. The assistant superintendent provides development, support and evaluation for administrators. Directs the effective and efficient implementation of the educational and instructional programs in compliance with local, state and federal regulations. Responsible for the development of annual goals and action planning for the teaching and learning program. Assists with the creation of all reports, records, and other paperwork as required by the Board of Education, the State Department of Education, and the Federal Government, or paperwork that may be appropriate to the district’s administration. Establishes and maintains appropriate and efficient administrative procedures to support the teaching and learning functions of the district. Assumes the duties of the Superintendent of Schools in the absence of the Superintendent. Directs the development, implementation and evaluation of school security measures. Directs the development, evaluation and revision of curriculum and instruction and oversees the implementation of approved programs. Directs the overall articulation of curriculum among and between all grades. Responsible for the coordination of Special Area Subjects: Art, Music, PE/Health, Library Media. Responsible for the formulation, planning and implementation of the professional development and evaluation requirements and programs for professional staff (teachers and administrators). As required, coordinates and participates in school visits and classroom observations. Directs the implementation of all new program initiatives for the district (e.g. SRBI, Strategic Planning, Alliance District, etc.). Supervises and manages Curriculum Director/Coordinator(s), Special Education Director, and Facilities Engineer in compliance with local, state and federal law and the policies and procedures of the school district. Responsible for developing, directing and facilitating the new teacher orientation and TEAM teacher induction programs for new staff members, including assigning mentor teachers. Participates in the development of district staffing needs and participate in the interviewing of Principals and various other certified and non-certified staff. Serves as a liaison to the Board of Education Curriculum Committee and other sub-committees as required. instructional materials and resources, and other activities of the district. Directs and oversees federal and competitive grant budgets. Serves as the district’s 504 and Bullying Coordinator. Manages and oversees kindergarten registration and transitioning program as well as district-wide registration form requirements in compliance with PSIS. Oversees the development and implementation of the district’s annual school calendar including but not limited to marking periods, exam schedules and early dismissal days for PD. Manages, develops and implements the district’s Technology Plan. Oversees all district requirements related to home schooling and student redistricting and appeals. Performs all other Administrative and District duties at the direction of the Superintendent of Schools. A minimum of a Master’s Degree in education administration. Sixth Year degree preferred. Connecticut Certification Endorsement 092 required 093 preferred. School-based administration experience is required. A minimum of five (5) years building level and/or central office administration leadership experience is essential. Experience in leading district-wide educational programs and reform, including the ability to deploy resources and prioritize projects. Demonstrated knowledge and understanding of student and program assessment, data analysis, program development and evaluation, effective instructional strategies, learning assessment and diagnosis and research related to teaching and learning. Priority 1 – Share an inspiring district vision with coherent strategic plan. Priority 3 – Create a safe, welcoming and respectful environment throughout the district and school that supports the continuous improvement of teaching and learning. Priority 4 – Create an organizational system that functions in support of teaching and learning. Reporting to the Principal, the successful candidate will be responsible for assisting the building principal in administering and managing the districts high school in accordance with the Naugatuck Public Schools goals and objectives and the Standards for School Leaders. The associate principal will have direct responsibility at the school building level for curriculum development, instructional improvement, supervision and evaluation of staff, student management, and community relations. The successful person must also maintain effective lines of communication within the school and among the school, home and community. Plans, organizes, supervises, and evaluates all high school programs in conjunction with the building principal. Coordinates the supervision and evaluation of staff members in conjunction with the building principal. Must be knowledgeable about curricula, education programs, and effective instruction techniques and be able to impart this knowledge to staff. Provides leadership for staff development and instructional improvement programs. Develops the capabilities and potential of subordinate personnel. Acts as a catalyst for innovative thinking, including evaluation of existing programs and development of new programs. Responsible for freshman transition; helping students and families acclimate to high school to ensure academic and social success. Proven knowledge about the SRBI model for both academic and behavior interventions as well as implementation strategies for the secondary level. As required, interviews candidates and makes recommendations for the hiring of new staff. Maintains professional competency by attending meetings of professional organizations, conferences, serving on school and district committees and keeping abreast of current educational literature. Act as a catalyst for the schools growth mindset and innovative thinking, including evaluation of existing programs and development of new programs. In coordination with the building principal responsible for developing and implementing both short and long range goals in the area of education and administration for the high school. Responsible for the preparation of various reports concerning building programs and staff. Performs additional duties, where appropriate, which are assigned within the scope of employment and certification. Connecticut Certification Endorsement 092 – Intermediate Administrator is required. Demonstrated experience in grade K-12 curriculum and instruction. Ability to implement data-driven decision-making in school improvement initiatives. Prior instructional leadership experience is required. Prior experience at the high school level is preferred. Responsible for the day-to-day collection, processing, data entry and reporting of student attendance information for Naugatuck High School as well as administrative support for the Naugatuck High School nurses office. Listen to messages and answer phone calls regarding student attendance calls and log all attendance information into Powerschool with absence code and time. Sign in tardy students using Plasco-Tracs and transfer all student times and codes into Powerschool from Plasco-Tracs. Keep track of students who are late more than three (3) times and send to ISS. Call home on all dismissal notes, write passes and log code and time into computer. Record all Dr.’s notes, court notes, early dismissals, automated phone report, etc. into Powerschool paying particular attention to special requests from notes and notifying nurses and counselors as to content of note. File all notes in student file. Enter ISS and OSS students from Dean’s office into Powerschool. Record study hall cuts and notify Dean’s office when a student has reached 4/5 times. Issue detentions for cuts and record in Powerschool. Responsible for tutored student’s attendance. Record all field trips, activity absences and any changes made by teachers. Interact with parents, teachers administrators, students, nurses and guidance to ensure proper attendance codes are recorded correctly. Check I.D.’s of visitor/parent through Powerschool to ensure safety of student. Run Daily Attendance Report and send to teachers, administrators, guidance, nurses and other secretaries. Copy requests for immunizations and medical information for legal requests, graduated students returning to college and for employment. Input immunizations and mandated screening results into Powerschool. File Dr.’s notes, coaches communications, parent notes and other legal forms (i.e. 504 paperwork) into health record and fax any requests to MD offices as needed. Process, distribute and monitor compliance of staff/teacher emergency forms and blood borne pathogen forms. Administer emergency cards, place in appropriate draw for use and update Powerschool with any new information. Process all 10th grade and sports physicals and electronic record of immunizations for colleges. Process and mail 10th grade mandated physical letter. Mail exclusion letter for current 10th grade student without physicals. Input all health information for registrations into Powerschool. Prepare packets for registration for following year. Perform all other related duties as needed and at the direction of the Principal. Knowledge and proficiency in the use of computers and office equipment. Proven ability to work with confidential information and ability to work with a high volume of data and perform duties accurately within established time frames. Prior secretarial experience in a school based setting strongly preferred. Responsible for leading the business operations of the school district ensuring resources are allocated to support continuous improvement of teaching and learning. Ensure efficient systems and day-to-day operations of all financial and budgeting related requirements, purchasing and procurement, transportation, and food services for the Naugatuck Public Schools. Oversee and manage all District financial reporting, including but not limited to monthly Board financial reports, financial reports to administrators, and annual financial reports required by the State of Connecticut. Lead the collaborative development of the annual financial plan. Manage district expenditures accounting, and payroll, ensuring procedures comply with all federal, state and local requirements. Ensure that all student activity accounts operate in accordance with Board Policy and proper accounting procedures. Manage and maintain a purchasing and procurement system that makes optimum use of District resources. Manage the District’s banking procedures, general ledger maintenance, bank reconciliations and grant fund expenditure and reporting procedures. Coordinates and manages the daily operations of the business office, including cash flow management, accounts receivable and payable, purchasing, tuition billing and collection. In collaboration with the Food Service Director, oversee the school food services program including; filing appropriate federal and state reports and collection of revenue. Supervise the District’s transportation program including, negotiating transportation contracts, filing appropriate state reports, overseeing bus routes, and in collaboration with the contractor and administrator’s assuring adequate safety programs. Assure that all financial, food services and state/federal grant audits are conducted as required by federal and state regulations. Oversee the preparation of bids and bid specifications, receive and open bids, tabulate results and prepare written recommendations in accordance with Board policy. Works closely with the Borough’s Finance Department regarding financial data and reporting. Perform all other Finance Dept. and District duties at the direction of the Superintendent. Collaborates with administration for the purpose of decision-making related to the operation of the school district. Serves as a liaison in business and operation matters of the district with the Borough government in a positive and proactive manner. Works in conjunction with the Long Range Facility Planning Committee and the Borough’s Capital Committee to ensure funding and support for construction and capital improvements. Ensures the availability of financial and support data necessary for the annual audit of the District’s financial records and financial position. In conjunction with the Human Resource Director, work with the District’s insurance brokers for purposes of planning and negotiating all insurance programs to meet the needs of the District and to ensure competitiveness, effectiveness and economic feasibility. Identify, recommend and implement cost containment initiatives where and when necessary. Collaborates with the superintendent and administrative team to ensure BOE policies are adhered to regarding business and facility management related issues. Prepares documents as required for the CT Bureau of School Facilities. Maintains official construction files for project audits. Oversees the distribution of payments for construction projects. Establishes a system to manage projects including periodic reimbursement requests to the CT Bureau of School Facilities. Ensures school officials are involved in planning and are communicated with throughout facility projects. A minimum of a Bachelor’s Degree in Accounting, Finance, Business or related field. State of Connecticut endorsement 085 School Business Administrator is required. 5-7 years related experience in municipal and/or school finance is essential. Computer proficiency in Word, Excel, Outlook and MUNIS financial/payroll software is required. The ability to work independently while advising and interacting with business department employees and other departments is essential. The Career Coordinator is responsible for facilitating college & career research opportunities for high school students. Conducts college & career awareness research sessions for students. Assist students in using the internet and computer software programs to gather career related information. Assist students with the college & career application process: e.g., applications for advanced training, resumes, application forms and effective interview techniques. Schedules appropriate career speakers, field trips, and job shadowing opportunities. Promotes community awareness of various career related programs and activities. Orders catalogs and maintains files on materials relating to job opportunities, careers, technical schools and colleges. Perform all other duties as assigned by High School Administration/Director of Counseling. Associates Degree or higher and knowledge of computer and software programs is required. The Curriculum Director provides leadership in the continuous improvement of curriculum, instruction, assessment and intervention to ensure all students progressing toward grade specific standards. Provides district leadership for the development and implementation of academic program. Ensures alignment, continuity and rigor of the K-12 instructional program. Develops processes to continuously improve curriculum linked to student performance indicators. Provides leadership in instructional technology. Reviews and recommends digital software, programs and platforms for classroom use. Consults with the IT Director concerning acquisition of digital learning equipment and access to online educational resources. In collaboration with the Assistant Superintendent is responsible for coordination of the district’s testing program, including data analysis, reporting and data warehousing. Acts as writer, innovator, program catalyst, developer and evaluator of various state and federal grant programs. In collaboration with the Assistant Superintendent, serves as liaison to the State Department of Education (SDE) for grant programs. Assists in the preparation of annual budget and in monitoring spending for instructional areas. Prepares various reports and forms as requested. Maintains professional competency by attending meetings and conferences of professional organizations and sharing that information, serving on school and district committees, and keeping abreast of current educational literature. Demonstrated knowledge and understanding of curriculum development and assessment, data analysis and instructional technology. Responsible for ensuring assigned building and/or area is clean, safe, functional and secure in accordance with district policies and standards. Maintain all assigned areas in a state of operational excellence such that they present no interruptions, distractions or obstacles to the day-to-day education program. Cleans assigned school or district facilities (i.e. classrooms, offices, restrooms, lunch rooms, halls, windows, walls, locker rooms, trash receptacles, grounds, etc.) in accordance with established procedures for the purpose of maintaining a sanitary, safe and attractive environment at the school of district office. Perform minor maintenance activities within the area of assignment as shall be deemed appropriate by supervision and within the scope of the individuals skill level to include; the use of small, common hand and power tools, ladders, and materials and supplies pertinent to minor maintenance activities. Work closely with Head Custodian, Facilities Engineer and/or building administrator(s) to prepare for scheduled athletic, extra-curricular and other public events. Provide services as necessary to support curricular and extracurricular events and activities held at school facilities. Maintain inventory of custodial/maintenance supplies and equipment in assigned area. Restock disposable custodial/maintenance items and provide head custodian with inventory usage data. Maintain building and grounds security by opening/closing the building as directed. Perform, ground maintenance, snow and ice removal tasks and spread sand and salt on snow and/or ice covered surfaces as required. Arranges furnishings and equipment for the purpose of providing adequate preparations for meetings, classroom activities and special events. Responds to immediate safety and/or operational concerns for the purpose of taking appropriate actions to resolve immediate safety issues and maintaining a functioning educational environment. Contributed to the overall success of assigned building and/or district location by performing all other related duties as assigned. A minimum of two (2) experience in the custodial (or equivalent) field. Ability to write routine reports and correspondence and to apply common-sense understanding to carry out instructions furnished in written, oral, or diagram form. Must possess a valid CT driver’s license. the provision of special education instruction, services and support to students with Individualized Education Plans (IEPs). The Director is also responsible for the delivery of related services by Psychologists, Social Workers, Speech Therapists and others as necessary. Coordinate, implement, and supervise the district’s PreK-21 programs for serving students with disabilities in the least restrictive environment. Coordinate with school-based administrators and coordinators on the implementation of special services in schools. Coordinate the development of new services and service models to meet the needs of individual students and the changing needs of groups of students. Develop and manage local district budget and state and federal grant budgets for special services. Strategically allocate resources to maximize the effectiveness of the programs and services. Provides professional leadership for staff development, programming, curriculum and instruction for special services and related departments. i. Coordinate the planning, development, and implementation of a comprehensive staff development program for special education and related service staff. ii. Meets monthly with department supervisors and curriculum director to collaboratively plan for coherence between general and specialized instructional services. iii. Facilitate the distribution and discussion of research regarding trends and best practices in special education and related services. Ensure legal compliance with local, state, and federal laws and regulations that pertain to special education. Serves as liaison to the CT State Department of Education and outside agencies regarding matters pertaining to special education and related services. Ensuring the provision of contracted services including occupational and physical therapies, behavioral health services, psychiatric services and special education consultants. Manage the implementation of Homebound Instruction and oversees services provided to students who are educated out of district. Coordinate with transportation department to ensure appropriate transportation for students with disabilities. Coordinate services and appropriate school placements for all students identified as homeless under the McKinney-Vento Act. Develops systems and structures to cultivate strong partnerships with parents and families. Provides professional leadership and oversight of Para Educators. Leads the selection process, in collaboration with school based personnel, to recommend potential candidates to the superintendent. Provide leadership for the development, organization, implementation, coordination and evaluation of the districts athletic, physical and health education and wellness programs. Manages facility use at Naugatuck High School. 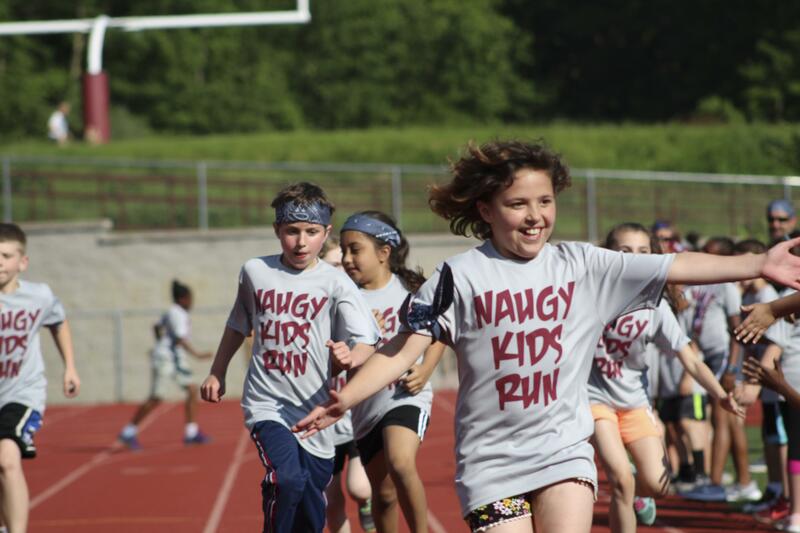 Responsible for continuous growth of the health, wellness and physical fitness of all students in the Naugatuck Public Schools. Establish and continually evolve program expectations and curriculum that fosters high expectations for all NPS students. Lead the department of athletics by ensuring the program has clear goals to help the district accomplish its vision and mission to create a community of learners who will graduate prepared to excel in colleges and/or careers. Hire, supervise and evaluate all coaches and ensures that each athletic coach in the athletic program holds a coaching permit issued by the CT SDE and has completed all other required training. Responsible for oversight of all facility use and supervision and security of related activities. Shares administrative responsibilities for all students participating in interscholastic and club athletics at the high school and middle school levels. Possess knowledge and understanding of all rules and regulations of the governing authority for interscholastic athletics. Be an active member of the CIAC. Administer and arrange the scheduling of and transportation to athletic activities and events. Administer and arrange the hiring of officials. Ensure a safe and healthy environment for all activities and events. Responsible for the development, recommendation and accountability of the annual district athletic, PE/Health, Wellness and facility use budget. Valid coaching permit issued by the CT SDE. Minimum of three (3) years teaching, administration or coaching experience. Background in physical fitness and health & wellness is preferred. vacation between athletic seasons and summer. management, instructional improvement, supervision and evaluation of staff, student management, community relations and effective lines of communication within the school and among the school, home and community. The director ensures that all Board of Education policies and procedures are carried out in an effective, efficient manner. 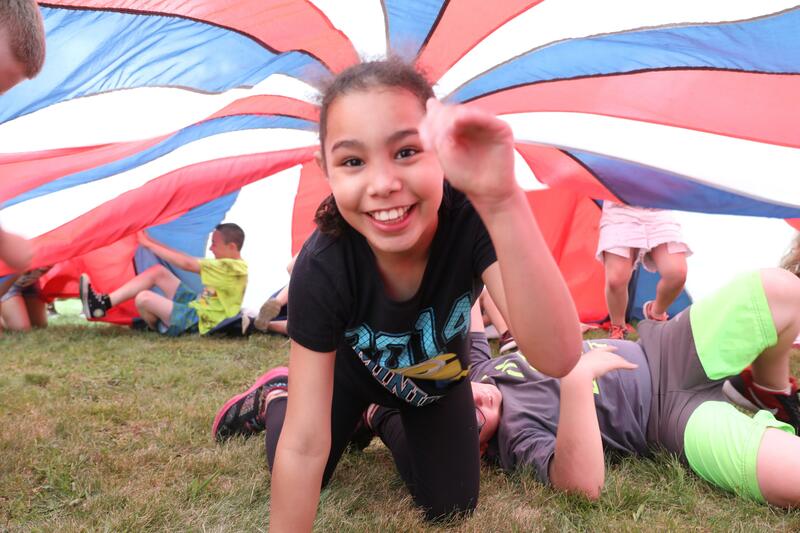 Design implement and manage NEAYC accredited early childhood programs to ensure high quality learning experiences for Naugatuck’s youngest students. Continuously improve teaching and learning to ensure all students are progressing toward mastery of Early Learning Standards and SRBI processes are implemented when necessary. Collaborates with special education department to ensure high quality delivery of mandated special education programs. Recruits, hires, develops, supervises and evaluates all building personnel according to BOE policy and program requirements. Responsible for all curricular and extracurricular programs and activities in assigned building. Interface with local, state and national partners and stakeholders (i.e. municipalities, school districts, service providers, grantors) to establish and maintain relationships which improve services and encourage opportunities for collaboration. Take a lead role in the grant writing process for all Early Education programs to ensure that grants are thorough, complete and timely. Administer all programmatic grants in accordance with grantor guidelines, applicable laws, Board policies and best practices. Maintain reports, records and documents to ensure compliance with federal, state and local regulations. Responsible for the development, recommendation and accountability of the annual school building budget including staffing needs, instructional materials, resources, and activities for the school. Is responsible for the management and accounting of all parent fees and student activity funds for assigned building. Oversees the maintenance program of the school and keeps facilities department and central office informed of maintenance needs. Ensure that the Head Start Policy Council is kept fully informed on the condition of the program and organization and the important factors influencing it. Responsible for developing and implementing both short and long range goals in the area of education and administration for assigned school. Supervise, support, and coach teaching staff to provide safe and nurturing environments for children that encourage their social/emotional, physical, cognitive, and creative development by monitoring the design and implementation of lesson plans and assessments to align with the curriculum guidelines established by the State of Connecticut Office of Early Childhood, the National Association for the Education of Young Children, Head Start Performance Standards and the Naugatuck Public Schools preschool curriculum. The Early Childhood Education Specialist & Disabilities Coordinator will act as a liaison to the Naugatuck Special Service Department. Works with classroom staff and parents to ensure that the daily program and lessons are designed and implemented to meet the social, emotional, cognitive and physical needs of each child. Supervises and regularly evaluates teaching staff in collaboration with the Early Childhood Coordinator. Reviews teacher records of daily activities, weekly plans, notes on children and home visits. Arranges meetings, training sessions, and professional development for teaching staff. Plans and arranges for the acquisition and optimum use of all necessary teaching materials. Provides written evaluation of each teacher on an annual basis. Participates in regularly scheduled Leadership Team meetings and classroom team meetings. Participates in parent conferences and meetings as required. Works closely with the Special Services Department, the family, and other service providers to ensure that services for a child with disabilities will be planned and delivered as required by their IEP. Ensures children are working towards the goals in their IEP. Ensures IEP’s are being implemented, reviewed, and revised, and services are provided in the child’s classroom to the greatest extent possible. Through collaboration with the Special Services Department, develops and organizes the program’s disabilities services to meet the needs of children with disabilities and their families. Coordinates with Special Services Department, teaching and other appropriate staff and parents in developing an IEP for children with disabilities. Coordinates and plans training for staff and parents to provide skills to meet the special needs of children with disabilities. Collaborate with specialists employed to work with children with disabilities and assists teaching staff involved with teaching children. Masters or Bachelors degree in Early Childhood Education with Special Education experience. Possess, or be able to obtain certifications in CPR, Pediatric First Aid and Administration of Medications. Supervisor experience and training as a coach to teachers. Experience working as a preschool teacher and of the Birth to 3 process and transition. CLASS training and experience using CLASS as a tool to observe preschool teachers. Demonstrate knowledge of developmentally appropriate curriculum practices. Be knowledgeable of the preschool SRBI process and the PPT and IEP processes. Ability to work independently with excellent computer, interpersonal and writing skills. To provide social services support for families of Naugatuck’s preschool children and those enrolled in the districts early childhood programs. Complete recruitment applications with prospective families. Complete Family Partnerships with families selected for the program. Report all cases of suspected child abuse to DCF. Work with families to ensure they have a primary care provider. Provide case management to families and maintain all appropriate documentation. Visit homes of families a minimum of 3 times per year. Make appropriate referrals to local social service agencies. Personal characteristics for working effectively with students, teachers, administrators and parents. Provide a safe and nurturing SRBI environment for children that encourages their social/emotional, physical, cognitive, and creative development by using curriculum guidelines established by the State of Connecticut Office of Early Childhood, the National Association for the Education of Young Children, Head Start Performance Standards and the Naugatuck Public Schools preschool curriculum. Implement developmentally appropriate, literature-based lessons that reflect observations and assessments of individual children and goals jointly developed with parents. Design and environment that responds to children’s individual development levels, physical and emotional needs, and current interests. Provide a variety of developmentally appropriate materials and activities that are reflective of the CT EDL’s and the Head Start ELOF’s by fostering social skills, encouraging children to think, problem solve, question, and experiment to meet their needs through the SRBI tiers. Create documentation of children’s interventions through anecdotal notes and individual folders in accordance with the results of the various assessments used at the center to monitor growth and developmental data. Use data for recording and documenting a child’s intervention progress. Encourage and model social behavior and expectations that are developmentally appropriate. Respond to parents concerns and comments with sensitivity, interest and respect. Maintain confidentiality. Establish and maintain relationship with individual children and their families that include initial meeting with families during the SRBI process. Share resources with parents through reports, discussions, article, parent boards, newsletters and community contacts. Communicate verbally and in writing with parents regarding the development and specific interventions of the children and the SRBI process. Participate in parent meetings to discuss a child’s progress using various interventions. Know the number of children in your group and maintain ratios at all times. Maintain accurate attendance records for children receiving intervention lessons. Encourage children to utilize appropriate health, safety and nutritional practices. Attend staff meetings, training sessions, and other program events. Work collaboratively with Leadership Team members, preschool teachers and special education staff. Masters or Bachelors degree in Child Development, Early Childhood Education, Child and Family Studies, Elementary or Special Education with 12 credits in Early Childhood Education with ECTC eligibility. Possess, or be able to obtain certifications in CPR, Pediatric First Aid and Administration for Medications. Provide safe and nurturing environments for children that encourage their social/emotional, physical, cognitive, and creative development. Design and implement developmentally appropriate curriculum according to guidelines established by the State of Connecticut Office of Early Childhood, the National Association for the Education of Young Children (NAEYC), and Head Start Performance Standards. Review important decisions with the Early Childhood Coordinator and maintain positive relationships with parents, children, and co-workers. Implement a developmentally appropriate, literature-based curriculum that reflects observations and assessments of individual children and goals jointly developed with parents. Lesson plans are done weekly. Design an environment that responds to children’s individual developmental levels, physical, and emotional needs, and current interests, that meet guidelines set forth by NAEYC and Head Start Performance Standards. Provide a variety of developmentally appropriate materials and activities that are reflective of the CT EDLs by fostering social skills, encouraging children to think, problem solve, question, and experiment. Foster positive self-concept by supporting individuality, independence and the ability to make choices. 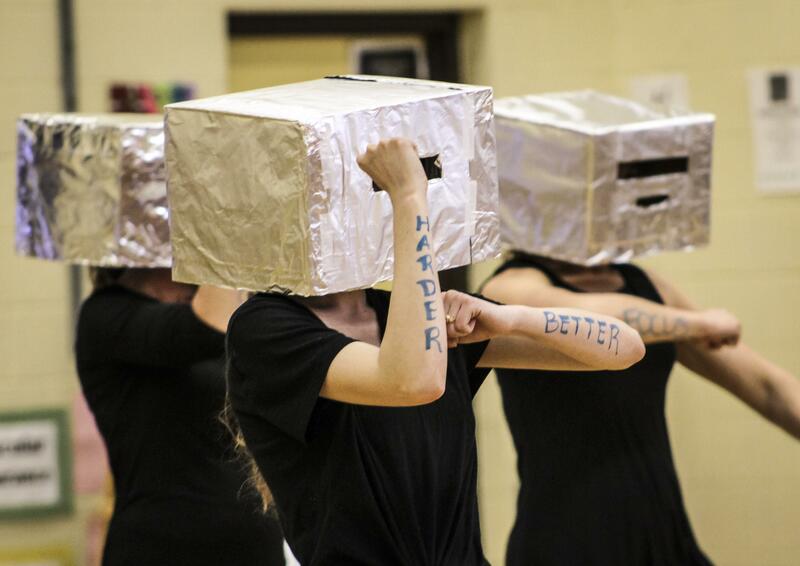 Encourage creative expression. Demonstrate respect for diversity by providing anti-bias, non –sexist language, images and experiences that reflect both the center and global communities. Plan a daily schedule that provides a balance of activities: quiet/active, indoor/outdoor, fine/gross motor etc. Plan and implement child-oriented, self-initiated activities while limiting large group faculty-initiated activities. Create documentation of children’s accomplishments through anecdotal notes and portfolios in accordance with the various assessments used at the center to monitor growth and development data. Use the center’s data system for recording and documenting a child’s anecdotals and progress. Maintain confidentiality about issues concerning staff members, children and families, per the Early Childhood Center at Central Avenue’s management and operations. Respect and adhere to staffing schedules that may be adjusted due to the program needs. Attend staff meetings, training sessions, and other program events. Interact frequently, affectionately, and respectfully by smiling and speaking to children in a friendly, calm, soft, courteous manner within close proximity of the child. Respect and observe children’s interests. Intervene when needed to maintain safety. Enhance children’s play with language, toys, and activities. Engage and communicate constructively with individual children during activities and routines. Take every opportunity to positively extend children’s thinking and actions. Acknowledge feelings with sensitivity and demonstrate appropriate expression of emotions. Communicate directly with each child at the child’s level. Practice positive discipline techniques in guiding children’s behavior. Masters or Bachelors degree in Child Development, Early Childhood Education, Child and Family Studies, or related field, Elementary Education or Special Education, with 12 credits in Early Childhood Education. Associates degree in Early Childhood with ECTC and Head Teacher Credential or eligibility. Possess, or be able to obtain, certifications in CPR, Pediatric First Aid, and Administration of Medications. Meet federal as well as individual state requirements and maintain credentials for the position (i.e. ongoing trainings, continued required early childhood education courses). Well organized and can work independently. Develop, implement, and manage district-wide standard operating procedures for maintenance and custodial staff including all systems, inventory, forms and controls to achieve an effective work flow and utilization of equipment. Work collaboratively with administrators to evaluate and ensure that the custodial and maintenance staff contributes effectively and efficiently to the operations of schools. Communicate and collaborate with principals on an ongoing basis about facility and maintenance needs and timelines for work completion. Cooperate with each principal in the operation and maintenance of his/her building. Development and implementation of priority lists by building of immediate and long-term maintenance needs, including preventive maintenance. Develop and manage the district facilities financial planning and spending. Conduct periodic inspection of district buildings and grounds to ensure a safe and inviting learning environment for students and staff and that all work being performed meets the district’s standard. Manage and maintain schedules of work for each individual building for custodians, maintainers and outside vendors. Supervise and inspect work performed by outside contractors and verify that the terms of the contract have been fulfilled prior to approving payment. Confer regularly with the Assistant Superintendent and Superintendent (as necessary) regarding any problems, concerns or issues related to the districts buildings and grounds. Serve as districts coordinator of Safety Services Program, including asbestos management, safety, OSHA standards and regulations, pesticide application, etc. Assist the Superintendent with school closing decisions as needed. Prepare various reports concerning the facilities department as required by the Board of Education, State Department of Education or other regulatory agencies. Oversee all construction and capital projects within the district to ensure that all required permits have been obtained and work is being performed in accordance with project specifications and state and local regulations. Serve as the districts primary key holder for all off-shift and weekend building alarms. Serves as the primary contact for alarms and responds accordingly. Meet with the Board of Education and the Borough Building Committee as needed. Attend meetings as directed and/or required. Perform other duties as assigned by the Assistant Superintendent. A Bachelor’s degree in Building and Construction Management or related field and a current valid CT Trade License is highly desirable. Strong interpersonal skills, including the ability to communicate effectively, problem solve, and manage people and complex projects is required. A minimum of seven (7) years experience in the planning, organizing and directing all facets of operations, maintenance and repair of buildings and building equipment systems. Knowledge of state and federal rules and regulations concerning health and safety issues, including OSHA and IDEA regulations. Knowledge of proper purchasing, bidding, inventory and budgeting procedures. Ability to read and interpret blueprints and technical specification is essential. Ability to work within a flexible schedule, including, but not limited to attending evening meetings, supervision of night shift personnel and other unforeseen circumstances. Responsible for food and mail distribution to each school within the district. Responsible for food distribution to schools within the District. Redistributes food supplies to each school from central storage facilities as needed..
Moves inventory as required and maintains an inventory of government supplied food both frozen and dray canned. Retrieve daily receipts/monies from each school and deposit in bank. Deliver and retrieve government food to and from other districts as directed. Delivery of internal mail to and from each school, Central Office and Town Hall in a timely manner. Deliver monthly (or as needed) Board of Education packets as directed. High School Diploma or equivalent and a valid Connecticut driver’s license is required. Ability to lift in excess of 60lbs is essential. Ability to work independently with frequent interruptions and change in priorities. Ability to represent the BOE and District in professional manner when dealing with the public. Responsible for the maintenance, care and modifications of school grounds and landscapes which includes the operation of electrically-powered and gasoline-powered grounds keeping equipment and machines. Performs related custodial and minor maintenance work as required. Performs tasks common to the care of school grounds and landscapes by seeding, mulching, fertilizing and applying chemicals to outside plantings, lawns and turf, as well as inside flowers and plantings. Perform tasks related to the preparation of NHS playing fields and school facilities for athletic and other school activities. Performs regular and directed grounds and landscape maintenance by mowing lawns with riding or push mowers, trimming and edging around trees, shrubs, ground cover, flowers, sidewalks and buildings; weeding, thinning and cleaning flower beds and other grounds. Provides a record of grounds and landscape maintenance, watering and chemical applications including areas watered/sprayed with chemicals, amount and type used and reason for use. Maintains up to date knowledge of state and local rules and regulations regarding chemical and pesticide application. Removes trash and debris from public areas by regularly inspecting grounds, drains, catch basins, etc. for debris. Rake, sweep and bag leaves, debris, dirt and trash from driveways, sidewalks, parking lots, and discard on a daily basis. Inspect, empty, clean and disinfect outside trash receptacles on a regular basis. Remove, repair and install trash receptacles on an as needed basis. Coordinate and be responsible for snow and ice removal tasks and winter grounds safety at NHS only. Assign overtime for snow/ice removal and winter grounds safety at NHS as required. Communicate with HS Principal and Head Custodian regarding overtime record keeping so Head Custodian can maintain and manage the overtime list for the building. Consults on and performs as required, district-wide care of school grounds and landscaping. Safely operates light vehicles and equipment such as pick-up trucks, tractors and riding mowers and equipment such as push mowers, snow blowers, leaf blowers, sprayers, and other grounds keeping equipment. Will perform routine and preventative maintenance on and cleaning of tools, equipment and machines used at NHS. Repair services will require a maintenance ticket. As directed by Facilities Engineer, perform delivery and moving services of supplies, materials, equipment, furniture, etc. Performs custodial services following established procedures in buildings, classrooms, offices, lavatories, etc. as required and directed. Consults with custodians and performs as directed, district-wide care of school grounds and landscaping. Contributed to the overall success of Naugatuck High School and district-wide locations by performing all other related duties as assigned. A minimum of three (3) years of experience in grounds keeping is required. Training and proven experience and knowledge with the methods, materials and equipment used in planting, cultivating and trimming a variety of types of trees, shrubs, ground cover, flowers and grasses. Proven ability to properly operate and maintain grounds maintenance tools, equipment and machinery is required. Cleans assigned school or district facilities (i.e. classrooms, offices, restrooms, lunch rooms, halls, windows, walls, locker rooms, trach receptacles, grounds, etc.) in accordance with established procedures for the purpose of maintaining a sanitary, safe and attractive environment at the school of district office. Work closely with Facilities Engineer and/or building administrator(s) to prepare for scheduled athletic, extra-curricular and other public events. Provide services as necessary to support curricular and extracurricular events and activities held at school facilities. Stores and distributes supplies and equipment for the purpose of disseminating materials to appropriate parties and/or locations. Consults with Facilities Engineer and building administrative personnel for the purpose of planning, prioritizing and scheduling custodial activities and achieving building objectives. Oversees assigned custodial personnel for the purpose of ensuring functions are performed efficiently in compliance with building requirements and established standards. Inspects assigned building in order to ensure that the building is suitable for safe operations, maintained in an attractive and clean condition, and identify necessary repairs to facilities and/or equipment. Requisitions equipment, supplies and materials for the purpose of maintaining availability or required items and completing jobs efficiently. A minimum of five (5) years experience in the custodial (or equivalent) field with at least two (2) years experience in a lead or supervisory role. Develop a human resource system that provides direction and support for recruiting, staffing and retention, compensation and benefits administration, labor/employee relations, performance management, and compliance with all applicable federal, state and local laws. Identify, develop and implement human resource strategies and interventions in-line with accomplishing overall District objectives. Manage the District’s employee relations functions including; dispute resolution, mediation, collective bargaining, discipline, communications and recognition programs. Direct and oversee the investigation of allegations of employee misconduct and recommends appropriate actions. Oversees and participates in proceedings involving employment/employee-related legal matters. Obtain and manage assistance from outside legal counsel as required. Develop, review, implement and maintain operating and human resource policies, procedures and programs that are consistent with and supportive of the overall mission of the District. Ensure compliance with federal, state and local laws. Direct the administration of the Districts compensation programs and practices to ensure competitiveness, effectiveness, fairness and compliance with federal and state law. Direct, evaluate and assist with the administration of the Districts employee benefit programs in an effort to meet District requirements, ensure competitiveness, effectiveness and economic feasibility. Identify and implement cost containment initiatives where and when necessary. Implement and monitor strategic human resource planning processes to ensure appropriate succession planning and continued supply of highly talented employees in order to achieve the District’s short and long-term goals. Works closely with the Superintendent in preparing administration reports/presentations for the Naugatuck Board of Education. Participate in regular monthly and/or other (special, committee, etc.) Board of Education meetings as required. Work in collaboration with the Superintendent and administrators to determine operational staffing needs at all levels and oversee the District’s recruiting efforts. Participates in interviewing processes as required. Assist with the final decision and employment offer process. Manage and monitor the District’s unemployment claims processing and assist/participate in appeal hearings as required. Manage and monitor the District’s workers compensation and return to work programs. Manages all required EEO, DOL and OSHA reporting requirement for the District. Perform all other Human Resources and District duties at the direction of the Superintendent of Schools. A minimum of a Bachelor’s Degree in business, human resources or related field. Experience with the successful recruitment, development and retention of high-quality staff. Will be responsible for the students assigned to ISS and ensure continuity of programming to develop and maintain positive relationships with students who may have an ongoing discipline issue, and to maintain effective connections with administrators and faculty members. The purpose of ISS is to help students understand that the behavior was unacceptable and to learn to replace undesirable behaviors with those that will promote academic success. Maintain positive relationships with students while not making ISS a place students prefer over academic classes. Contact student’s teacher and request work for periods/days student is in ISS. Assist students with work completion and return completed work to the student’s assigned teachers. Act as a liaison to administration, faculty and support staff. Maintain records and collect data using computer programs and/or the school’s data management software. Use de-escalation techniques with students who are agitated or upset. Support administration in helping students understand the function of the behavior and monitor a behavior plan for students. Establish a safe, orderly, and supportive environment that has consistent expectations and rules. Create an environment that values education and fosters students re-engagement with school. Brings to the attention of administrators or support personnel (counselors, social workers, etc.) any information of concern shared by a student. Participate in training offered by the school or by outside providers on behavior management strategies and relationship building. Two (2) or more years experience in an educational setting is strongly preferred. Ability to establish and maintain effective working relationships with students, faculty and administration. Responsible for district website postings, content updates and general design maintenance. Distribute district management and Board of Education communications through social media outlets such as Twitter, Facebook, etc. Maintain current student and employee information within notification databases. Schedule meetings, conferences and appointments for the Director of Technology. Obtain quotes from technology vendors, organize and enter purchase requests. Create bid requests and process responses, emails, letters and other documents as needed. Track departmental training and documentation of funding / reimbursement. Organize and digitally archive district files into data warehouse. Responsible for helping improve customer service, perception, and satisfaction with the Technology Department. Performs all other IT and District duties at the direction of the Director of Technology. A high school diploma plus a minimum of 2 years of job specific experience, strong computer and internet research skills and experience with MS Office products is required. Associate or Bachelor Degree is preferable with two (2) years experience. A combination of education and experience is also acceptable. Technical aptitude with the ability to learn and manage a website CMS product. Infinite Visions (BudgetSense) software experience a plus. Excellent communication and interpersonal skills, project coordination experience, and the ability to work well with all levels of internal management and staff, as well as vendors. Ability to work in a team environment with a flexible schedule. Must have the ability to work independently with frequent interruptions and meet deadlines. 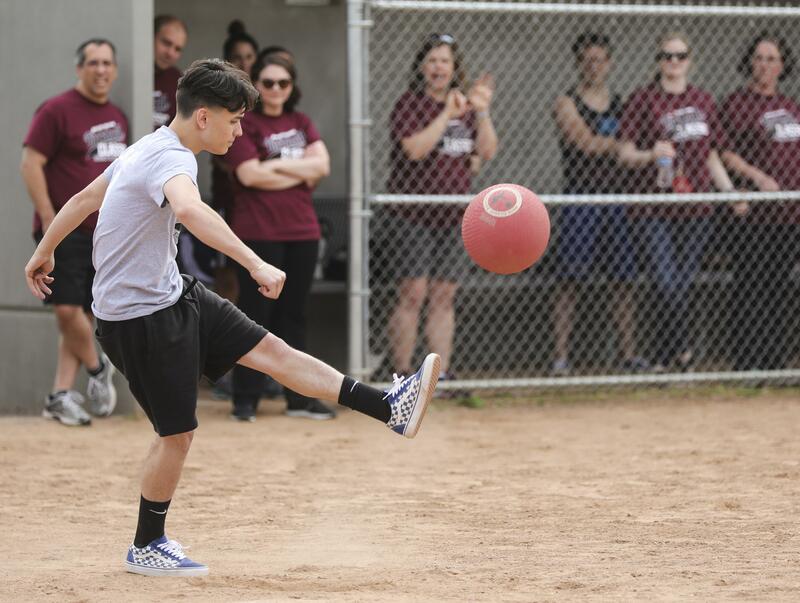 In support of the district’s strategic plan, responsible for the Naugatuck Public School’s strategic communication design and execution of external information, social media relations, marketing communications and web development. Engage and cooperate with District administrators and other staff members, as required, in publicizing and promoting the District’s programs, performances and special events. Responsible for the layout, design and production of web site, electronic newsletter and other publications for the purpose of ensuring school district information is disseminated in a high quality format. Prepare press releases, recorded messages, and other special presentations for distribution to the media, parents, students, community groups and stakeholders. On behalf of the district, utilize electronic (including web), print and social media to maintain lines of communication with district constituents, the press, and other agencies. Provide and coordinate content for current internal communication mechanisms and execute the ongoing development of various other effective internal communication vehicles and tools. Expand the use of technology tools and social media to enhance communications and increase user engagement. Develop and implement communications that promote the understanding of the culture of teaching and learning and connection with the mission of the District. Performs all other District duties at the direction of the Director of Information Technology. A BS Degree in education, public relations, communications or a related field with a minimum a three (3) years experience in job specific skills. Proven and demonstrable knowledge and skills in community engagement, print, social media, electronic and oral communication processes and techniques. Ability to provide portfolio required. Strong technical aptitude with excellent communication skills and ability to work in a team environment. Flexibility to attend occasional evening or weekend events. Develop and lead the district’s information technology department’s operations to ensure technological resources are allocated to support strategic plan. Responsible for managing the various information systems and the IT personnel who support such systems. Provides management oversight for the data and database support for end-users for the districts primary data collection and reporting systems, including PowerSchool or other student data management systems, the financial management systems and other software systems that are used by the district. Manages the licensing usage, compliance and requirements and keeps administration and Board of Education apprised of all technology compliance within the district. Approves data backup plans and monitors adherence to such plans. Directs the installation of software on the network and desktops and verifies configurations and proper operation. Approves user groups and permissions for network users, PowerSchool, BudgetSense and all other systems requiring security and/or users controls. May on occasion, move or install computer equipment, including network connections necessary to assist end-users or when called to assist technical staff, especially during summer renovation work. Prepares written plans for operations. Projects, software and system updates. Prepares budget projections on hardware and software expenditures and requirements to help ensure adherence to budgets and to prepare submission for inclusion in future budget plans. Perform all other Information Technology and District duties at the direction of the Superintendent of Schools. A minimum of a Bachelor’s Degree and five (5) years experience in a senior level IT management position in the public or private sector is required. A thorough understanding of LAN/WAN architecture and client/server software processes in Novell, Microsoft and Macintosh network operations and in stand-alone desktop usage is required. Responsible for the collection, processing, data entry and reporting of student information for the District; including the database updates and data entry updates to PowerSchool. Performs database and data entry updates to SIS program for student entry and egress, for intra-district as well as inter-district moves, adds and withdrawals. Responsible for the gathering and assisting in the creation of technology documentation reflects and outlines the steps and processes utilized by the IT department. Responsible for all State reporting requirements and outside agencies exports.. Helps create and maintains documentation for IT systems, policies and procedures. Provides for collection of registration data for the District. Maintains calendar of key reporting activities and ensures that accurate data is entered into the systems as needed to support the reporting requirements. Reviews submission of information for completion and processes the necessary paperwork and/or computer systems entries to complete the collection process. Works with personnel who use the SIS program including administrators, teachers, aides and specialists to resolve questions regarding student identification, resolution of CT registration cases where questions of identity, residency and/or registration are involved. Provides data entry for all related information to the SIS program and the State web sites and/or collection files as required. Coordinates and completes State reports such as: ED166 (discipline) PSIS (student population). Provides support to building secretaries for all related information to PowerSchool. Assists with service requests from staff, coordinates and communicates to staff and supervisors to ensure work flows smoothly and operation are conducted effectively, effectively and smoothly. Creates ad hoc reports to support building administrators and District management team. A High School Diploma. Associates Degree or higher is desirable. A strong client-service orientation responding efficiently and effectively to client request is essential. Computer expertise, strong keyboarding skills and proficiency in Microsoft Office is required. Proven experience with PowerSchool Student Information System. Responsible for the IT infrastructure throughout the school district, including all aspects of network installation and maintenance. Assist district staff with technical support of desktop computers, applications and related technologies. Responsible for dealing with a broad range of equipment, diagnoses, troubleshooting and repairing of hardware and software. Responsible for corrective and preventative maintenance on installed equipment and providing guidance to end users on hardware and systems software issues. Responsible for Windows XP/7/8 and Mac OS X workstation configuration, deployment and troubleshooting. Including Novell clients and file systems with a strong desktop deployment and support background. Responsible for troubleshooting issues with TCP/IP, DNS/DHCP, SNMP, SMTP, LDAP, as well as eDir & ADand PC imaging products. Install, configure and document network printing devices. Provide direct ongoing support to staff on general computing issues including performing preventative maintenance and installing software upgrades and hardware troubleshooting and repair. Consult and collaborate with the IT team on systems and application issues; make recommendations and help employ solutions for streamlining operations. Assist in the creation and deployment of user workstation images as needed. Documentation of systems and facilities using drawing tools such as Visio. Communicates with other staff or supervisor to ensure work flows smoothly and operations are conducted effectively, efficiently and safely. Documents work completed and utilizes District service request system. A BS Degree in Computer Science. Information Systems, Engineering or a technology related field is preferred with a minimum a four (4) years experience in job specific skills. Strong teamwork and customer service orientation with excellent communication skills. Proficiency with Windows XP/7/8 and Microsoft Office Suite. Experience with current Mac OS operating systems. Experience with PowerSchool and interactive whiteboards a plus. Ability to perform recurring work independently and work accurately under deadline pressure. Valid Connecticut driver’s license and physically able to lift at least 50lbs is essential. CompTIA A+/Network+ and Novell CNA or Microsoft MCTS/MCIPT/MCSA certification necessary. Performs all database maintenance and updates to the District’s SIS (Powerschool). Recommends, designs and creates custom reports and features within SIS. Maintain documentation of data systems. Review and verify input and output data to ensure accuracy. Assists with the purchasing and implementation of all District hardware including PCs and mobile lab devices. Tier 3 support for customer technical issues and resolution. Manages the infrastructure, updates and daily operations of cafeteria system (NutriKids) and library database (Follet Destiny). Administers our Google Apps domain and responsible for device management, school device policies and overall usability. Provides project management and training for departments or users as necessary. Assists with district web site as well as SIS web integration components. Creates and maintains documentation for IT systems, policies and procedures. A BS Degree in Computer Science. Information Systems, Engineering or a technology related field is desirable with a minimum a four (4) years experience in job specific skills. Must possess an aptitude for numbers, accuracy and attention to detail. Computer expertise, strong keyboarding skills and proficiency in Microsoft Windows Office and HTML required. Valid Connecticut driver’s license and physically able to lift at least 30lbs is essential. In support of the district’s strategic plan, responsible for the IT infrastructure throughout the school district, including all aspects of network and server administration and maintenance. Responsible for dealing with a broad range of equipment, diagnoses, troubleshooting and repairing of hardware and software. Responsible for corrective and preventative maintenance on installed equipment and providing guidance to end users on hardware and systems software issues. Responsible for troubleshooting issues with TCP/IP, DNS/DHCP, SNMP, SMTP, LDAP, as well as eDir & AD, APs, switches, routers and firewalls. Responsible for remote access and mobility support: Terminal Services, Citrix Presentation Server 4.5 or higher, Chrome, iOS and Android connectivity. Report on health and statistics of network systems using applications such as Novell ZCM, HP Systems Insight Manager, SpiceWorks and Solar Winds. installing software and hardware as well as troubleshooting and repair. Design and build workstations verifying stability, interoperability, security. Establish and execute processes for workstation image management. Create and maintain documentation of systems’ configurations, service records and change controls. As required, prepare written plans for operations, projects and system updates. Responsible for monitoring and generation of all server, LAN and WAN performance reports as needed. Responsible to implement new technology solutions and enhancements with systems planning, security principles, and general software management best practices. Responsible for improving customer service, perception, and satisfaction. A BS Degree in Computer Science. Information Systems, Engineering or a technology related field with a minimum a five (5) years experience in job specific skills. Novell CNA/NCA, CLP or Microsoft MCITP/MCP are required. CNE, MCSE, PMP, Citrix CCEA, VMware VCP, Cisco CCNA is desired. Proven experience with systems planning and project management, security principles, and general software management best practices. Ability to work a flexible schedule to include 24x7 on call support and production maintenance. Responsible for developing and maintaining the IT infrastructure throughout the school district, including all aspects of wired and wireless network and server installation, security, management and maintenance. Assist district staff with technical support of desktop computers, applications and related technologies. Responsible for dealing with a broad range of equipment, diagnoses, troubleshooting and repairing of hardware and software. Responsible for corrective and preventative maintenance on installed equipment, installation of add-on components, set-up, imaging and configuration of new systems, equipment testing prior to deployment and providing guidance to end users on hardware and systems software issues. Support and troubleshoot Novell and Microsoft server technologies, as well as VMware and Microsoft virtual environments. Proficiency with Windows Server, Netware and Suse Linux. Responsible for implementing and troubleshooting network connectivity devices including APs, VoIP, switches, routers and firewalls. Responsible for remote access and mobility implementation and support: Terminal Services, Citrix Presentation Server 4.5 or higher, Chrome, iOS and Android connectivity. Deploy, maintain and report from systems and SNMP monitoring applications such as HP Systems Insight Manager and Solar Winds. Provide direct support to staff on general issues including preventative maintenance, installing software and hardware as well as troubleshooting and repair. Design and build systems verifying stability, interoperability, security and scalability of the architecture. Responsible for windows XP/7 and Mac OS X workstation configuration, deployment and troubleshooting. Establish and execute processes for workstation and server image management. Create and maintain documentation of systems configurations, service records and change controls. Responsible for understanding the customer and how IT relates to their strategy and goals with the capability of improving customer service, perception, and satisfaction. A BS Degree in Computer Science. Information Systems, Engineering or a technology related field desired with a minimum a 5 years experience in job specific skills. Novell CNE/NCE, CLP/CLE or Microsoft MCSE is required. ITIL, PMP, Citrix CCEA or CCIA, VMware VCP, Cisco CCNA, VoIP, HP (ASE, MASE) is desired. Proven analytical and problem-solving abilities and ability to multi-task and adapt to changes quickly is essential. 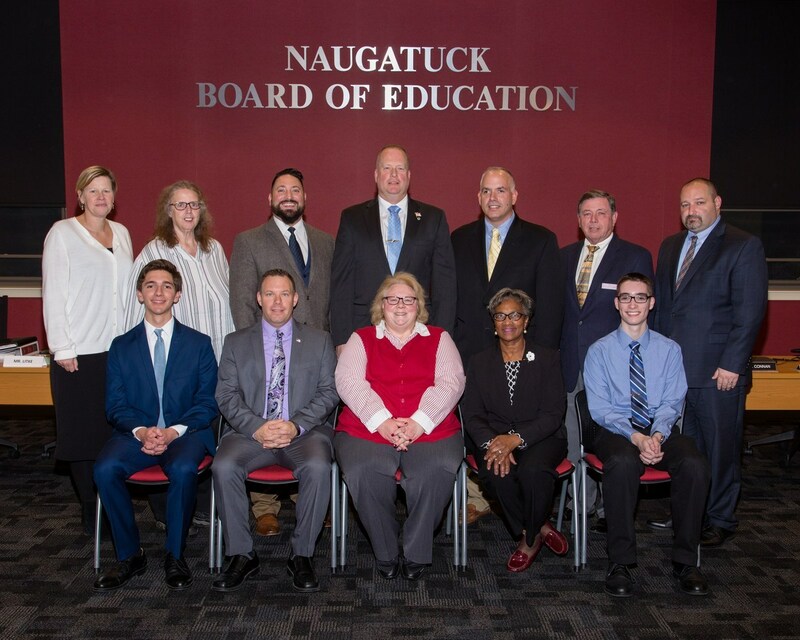 In support of the district’s strategic plan, responsible for the Naugatuck Public School’s technology throughout the school district. All aspects of installation, inventory and maintenance are included. This position assists staff of all district schools with technical support of devices, applications, and AV technology. Responsible for corrective and preventative maintenance on installed equipment. Responsible for dealing with a broad range of equipment, diagnose, troubleshoot and repair hardware and software problems. Install, configure and maintain student devices (chrome / iOS) & network printing devices. Provide written plans for projects and updates as assigned. Strong technical aptitude with excellent communication skills and the ability to work in a team environment. A minimum of one (1) year experience in job specific skills. Proficiency with Windows 7/8 and Microsoft Office suite. Experience with Mac OS / iOS operating systems a plus. Ability to perform recurring work independently and professionally. Ability to work weekends, shift and on-call as necessary. Oversee student use of the lavatory facilities to ensure the facilities are safe, clean and orderly. Limit the number of students using the facility at one time. Require that all students show proper identification and a signed pass from a school staff member, and sign in prior to using the lavatory. Maintain accurate records of student sign-in sheets and alert administration of noted concerns. Enforce the established school rules and protocol for use of the lavatory. Alert administration, security or the nurse of any student behavioral or health concerns. Alert administration of insufficient supplies or inoperable equipment in the lavatory. Prior experience working in a school or adolescence setting is preferred. Responsible for providing assigned health care tasks designed to promote and protect the student’s health status. Provides health care services in accordance with state laws, local Board polices and administrative procedures of the district. Assist with routine and emergency student care under the direction of the school nurse and in accordance with established policies and procedures. Assist with vision, hearing and other school based screenings. Assist with personal care needs of students as required. Provide support for the school nurse with special programs as school mandated assessments and school/sports physicals. Maintain accurate, comprehensive, well-organized records, logs, surveys and reports in keeping with requirements of the State of Connecticut, and policies of the Naugatuck Public Schools. Administer prescribed medication and treatments for students in school. Training designated staff in administration of medications. Remains current with the LPN profession by attending conferences and workshops and well as though professional readings. Perform all other Health Services or district duties as assigned by Nurse Supervisor or Administration. Licensed Practical Nurse currently licensed in the State of Connecticut. First Aid, CPR certification is required. Experience within a pediatric practice, school health or adolescence health setting is strongly desired. Responsible for performing a variety of skilled and semi-skilled tasks involved in the maintenance and repair of district buildings and equipment. Perform any and all general maintenance and repair tasks on building systems, equipment, furniture, instructional equipment, grounds, etc. as assigned by the Facilities Engineer or designee. Participate in and/or perform preventative maintenance activities. Perform regular inspections of equipment and systems and reporting any abnormalities and hazards immediately. Maintain an adequate inventory of maintenance supplies and equipment usually used in repairs, and request needed supplies through the established purchasing procedures of the district. Use work order system, making sure that work orders have been written and approved prior to performing tasks. Monitors and Operates heating, A/C, ventilation, electrical and mechanical systems. Observes and reports needed repair of equipment, furnishings, fixtures, building and site. Consults with Facilities Engineer and building administrative personnel for the purpose of planning, prioritizing and scheduling maintenance activities and achieving building objectives. Moves furniture, equipment and makes deliveries as required. A high school/trade school diploma or equivalent is required. A minimum of five (5) years experience in the maintenance field. Experience in a skilled trade equivalent to a journeyman is preferred. Perform any and all general maintenance and repair tasks (carpentry, HVAC, painting, electrical, plumbing, etc.) on building systems, equipment, furniture, instructional equipment, grounds, etc. as assigned by the Facilities Engineer or designee. Perform snow and ice removal tasks and spread sand and salt on walkways, driveways and parking area. Must possess a valid State of Connecticut contractors license. A minimum of ten (10) years experience in the maintenance and/or trades field. Responsible for providing a wide variety of health care services designed to promote and protect the student’s health status. Provides health care services in accordance with state laws, local Board polices and administrative procedures of the district. Serves as a member of the school teams (504 Team, Crisis Team, Planning and Placement Team) as the designated health professional. Provide emergency first aide and works with the school community to identify safety hazards and recommends prevention programs. Confers with parents, students, teachers, support staff, and other professionals to interpret health and development assessments. Provides guidance and counseling to families on health related issues. Monitors students with special needs for the purpose of maintaining them in the school setting. Determine if all students have complied with state mandated health assessments and immunizations. Coordinates the administration of prescribed medication and treatments for students in school. Responsible for training designated staff in administration of medications. Assumes responsibility for vision, hearing and postural screenings. Makes referrals and follow-ups on any deviations from normal. Writes Individual Health Care Plans (IHCP) for students with special needs. Incorporate plans into student IEP’s and 504 Plans, when indicated. Develops Individualized Emergency Medical Plans (IEMP) when necessary. Arranges for the school medical advisor to perform physical examinations for students and athletes and interprets the results to students, parents and school personnel. Serves as a resource to teachers and administrators in implementing a comprehensive school health program by providing current scientific information related to health promotion and disease prevention. Remains current with the school nursing profession by attending conferences and workshops and well as though professional readings. Registered Nurse currently licensed in the State of Connecticut. First Aid, CPR certification is required. Serves as a member of the school teams (504 Team, Crisis Team, Planning and Placement Team) as the designated health professional. Participate in regularly scheduled staff conferences and meetings. Confers with parents, students, teachers, support staff, and other professionals to interpret health and development assessments. Provides guidance and counseling to families on health related issues. Document all parent contacts and make home visits and contact with parents as needed. Coordinates the administration of prescribed medication and treatments for students in school. Responsible for training designated staff in administration of medications. Ensure medical forms are complete and on file. Ensure all medications are checked in upon enrollment and returned at disenrollment. Monitor medication expirations on a monthly basis. Assumes responsibility for vision, hearing and postural screenings. Makes referrals and follow-ups on any deviations from normal. Record height and weight of student, twice per year (Sept & Feb). Check dental records of students every six (6) months. Serves as a resource to teachers and administrators in implementing a comprehensive school health program by providing current scientific information related to health promotion and disease prevention. Monitor and distribute medical supplies to teachers. Report and recommend in writing statistical information to the Early Childhood Coordinator regarding required data for the Head Start Health components. Schedule Smile Builders and create, schedule and manage Health Advisory Meetings, twice a year. Perform employee CPR, FA, Medication and Epi-pen Administration trainings (coordinate & monitor yearly). Ensure accurate and timely input of all medical records into ChildPlus and Power School. Serve as liaison and work with Nutrition Consultant regarding food modification plans for students with food allergies and schedule workshops with Nutritional Consultant as mandated by Head Start. Inform staff in writing of children with food allergies and restrictions. Evaluate all health and safety practices at Early Childhood Center at Central Avenue. Monitor all health, safety, and nutritional needs in compliance with CACFP guidelines and federal mandates. Participate in the CACFO annual renewal application process. Perform all other Health Services or district duties as assigned by Nurse Supervisor or Early Childhood Center Administration. Responsible for developing, organizing, supervising and evaluating the health services program(s) provided by the school nurses in accordance with state laws, local Board polices and administrative procedures of the district. Performs day-to-day school nurse duties at a designated school building. Familiarizes all school nurses with the district’s policies and procedures and monitors adherence. Recommends health services policy updates and changes as necessary to the Superintendent or Designee. Provides health information for parents, students and staff, and advises staff on classroom lessons of ways to promote healthy lifestyles. Is responsible for the supervision and daily scheduling of the nurses and substitute nurses. Is responsible for evaluating the clinical knowledge and daily practice of school nurses within the district. Jointly evaluates each school nurse’s performance with their principal. Ensures that appropriate health records are maintained, and that appropriate follow-up procedures are taken by school nurses. Initiates regular communication with the District Medical Advisor. Coordinates staff development programs for school nurses and serves as an advisor to the district professional development committee on appropriate staff development for district personnel. Is certified or is willing and able to become certified as a CPR and AED trainer and is willing and able to train staff. Prepares a budget for the Health Services and requisite supplies and equipment. Coordinates a District Health and Wellness program for staff and students. Participates on the District Safety Committee. Perform all other Health Services or district duties as assigned by the Superintendent or Designee. Prior supervisory or lead nurse experience is preferred. Under the direction of a certified teacher, work with students on a one-to-one basis or with small groups and assist in the maintenance of materials, equipment and records of students; and reinforce instruction as directed by the teacher. Assist in preparing classroom for beginning and ending of school year. Assist in maintaining daily classroom environment, including but not limited to, cleaning up when necessary, setting up learning centers, getting materials out and ready for teacher lessons, duplicating material, and setting up audio-visual equipment. Reinforce skills taught in daily lessons. Maintain behavior modification plans and schedules. Assist in teacher prepared group lessons as well as individual child seat work, or specialized program instruction. Participate in all activities of classroom, including but not limited to, field trips, outside recess, lunchroom and playground. Assist with the physicals needs of all children where appropriate, including but not limited to, toileting, diapering, feeding, dressing and other health, medical and physical needs. Participate in Planning and Placement Team (PPT) or Individualized Education Program (IEP) meetings when required. As assigned perform transportation related duties such as: assisting students embarking and disembarking buses, ensuring students are properly secured in seats, proactively addressing behavior problems on buses, checking bus for students before exiting, assisting substitute drivers with routes and times, reporting problems to driver, and following procedures for wheelchair vans if so assigned. Attend staff meeting, department meetings, report card conferences and faculty meeting as required. Attend in-service professional development when required. Warm and supportive personality with the ability to relate to special needs children who have many changing needs. Ability to respect the rights of all students and the rules of confidentiality. Responsible for performing a variety of maintenance and repair activities of Naugatuck High School and other district buildings, facilities, utilities and equipment. Perform snow removal and special projects on a district-wide basis as required. Perform any and all general maintenance and repair tasks on building systems, equipment, furniture, instructional equipment, grounds, etc. as assigned by the Facilities Engineer, NHS Principal or designee. Perform regular inspections and maintenance of equipment and systems and reporting any abnormalities and hazards immediately. Use the work order system to prioritize and ensure that work orders have been written and approved prior to performing tasks. Use the work order system to communicate work status in a timely fashion. Coordinate the districts snow and ice removal tasks and winter grounds safety as it relates to outside contractors as well as collaborates with building custodial/grounds maintenance staff regarding other district locations winter grounds safety. Responsible for operating district snow plow in an effort to remove snow hazards as necessary. Monitors, operates and troubleshoots heating, A/C, ventilation, electrical and mechanical systems at Naugatuck High School and other locations as needed. Observes and reports needed repair of equipment, furnishings, fixtures, buildings and sites to the Facilities Engineer and site administrator. Operate and troubleshoot energy management systems and temperature control issues at Naugatuck High School and other district locations as required. Inspects Naugatuck High school on a regular basis and other schools as required to ensure safe and desirable conditions for learning. Track, record and communicate building performances to administration. 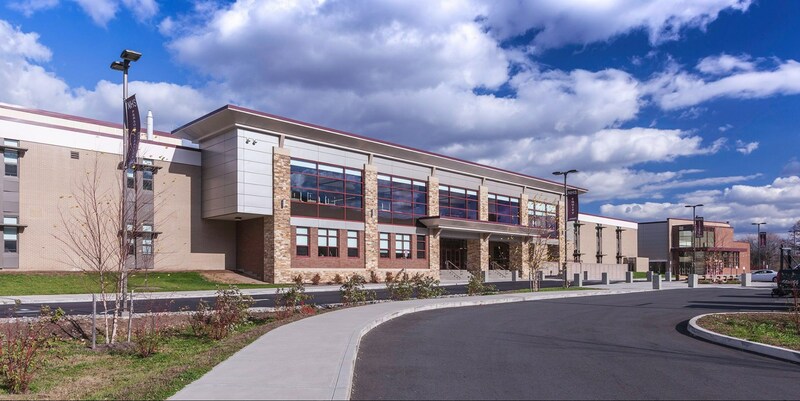 Coordinate and perform grandmaster lock system responsibilities at Naugatuck High School and other district locations in conjunction with district security administration. Work with Facilities Engineer and Administration to develop short and long-range plans for facilities upkeep. Provide work direction and guidance to maintenance and custodial personnel on special projects as required. Contributes to the overall success of district locations by performing all other related duties as assigned. equivalent to a journeyman is preferred. maintenance instructions and procedure manuals. Proven ability to communicate, coordinate, and implement to ensure completion of projects. Prior snow removal experience is preferred. Responsible for acting as the purchasing agent for Naugatuck Public Schools, building relationships with vendors and maximizing the districts purchasing power. Maintain positive relationships with personnel throughout the district, vendors and all district stakeholders. Communicate effectively to ensure purchased products meet the needs of the originator. Determine purchase requirements and recommend vendors who offer competitive pricing and outstanding service in accordance with BOE policies and administrative regulations. Enter all district allocable non-personnel requisitions(excluding those assigned by the Superintendent, Assistant Superintendent and Director of Special Services to their respective departmental secretaries) and/or review all pending purchase requisitions for accuracy, communicate with originator when necessary to ensure alignment with district goals prior to Business Manager’s approval. Print and distribute all purchase orders. Order products and track and coordinate delivery. Review open purchase order listing with department heads on a quarterly basis. Close all open purchase orders at year end. Process Accounts Payable vouchers for the Naugatuck Community Program and Athletic referees. Perform selected backup roles of Administrative Assistant as directed by the Business Manager; included but not limited to facility use organization and transportation requests. Prior purchasing experience strongly preferred. parents, the early learning and education community, the Naugatuck Public Schools and early childhood educators in the community. Collaborate with the SRC to plan, facilitate, implement and evaluate the District’s school readiness initiative, assist with the District’s early childhood education programs and serve as a liaison for all early childhood education related activities. Attend district and other meetings as directed by the SRC in order to comply with all state and federal performance standards and guidelines. Provide program outreach and activities to educate staff, community organizations, and leaders about the importance of early education and intervention. Maintain ongoing communication between the District’s early childhood education programs and the Connecticut Office of Early Childhood, the SRC, the Mayor (or designee), the Superintendent (or designee) and sub-grantees. Author and oversee all grant application processes using the Connecticut Office of Early Childhood template and following local bidding processes. Assist families in the enrollment process for School Readiness and other early care opportunities. Meet regularly with providers to provide a forum to share information and best practices, review policies and procedures, assess needs and set priorities, and share resources. Arrange and/or provide in-service training to staff, parents, community agencies and other early childhood educators. Conduct on-going and end-of-year evaluations to make recommendations for program improvements. Keep logs of activities and services provided, maintain documentation of records and prepare reports as needed. Conduct regular site visits to providers to monitor compliance with all of the School Readiness grant regulations and develop action plans where appropriate. Performs additional and related duties as assigned by the SRC. Certification in Early Childhood Education or related field preferred. Demonstrated experience in pre-school and/or early primary education. Demonstrated leadership qualities and personal characteristics for working effectively with others. Prior school-based teacher experience is essential. Schedule meetings, conferences and appointments for the Business Manager. Responsible for input and changes of all vendor information into the financial system. Process deposits for all funds into proper bank accounts and complete corresponding journal entries. Prepare all invoicing from the Business Office. Assist in the preparation and submission of various state required reporting as directed by the Business Manager. Handles initial requests for changes in bus transportation. Works with the bus company and school administration to facilitate changes as approved by the Business Manager. Organization of Facilities Usage Requests: review and process all facilities requests, maintain Certificate of Liability files, handle correspondence to schools and individuals. Invoice and collect funds for facilities use. Prepare monthly Board report. Organize and type bids, news publications, letter, reports, forms and other documents. Update all NSLP documents for the Free and Reduced Lunch program. Create school distribution packets. Process all lunch applications submitted by each school. Complete Free and Reduced Lunch Verification Summary Report as required by the state. State Projects: Under the direction of Administration, complete initial paperwork at the state level for new projects; follow up and submit any required documentation as needed by the state, update online documentation as needed by the state and submit requests for payment. Perform backup Payroll responsibilities as directed by the Business Manager. Prior secretarial experience strongly preferred; prior purchasing experience a plus. 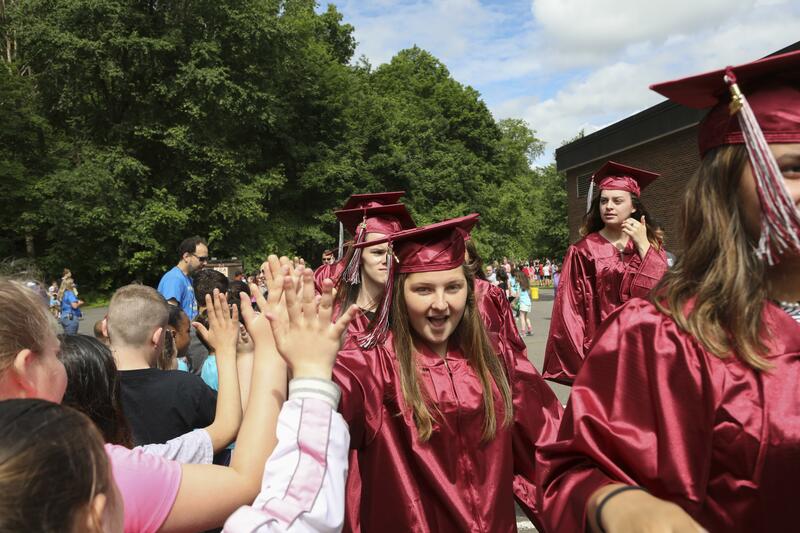 Develop and lead the work of the districts security plans in order to provide a safe, smooth, efficient and orderly learning environment for students of the Naugatuck School District. Collaborates with C.O.A to develop and propose new security policies and works in conjunction with central office administration to develop and implement procedures and written guidelines. Advises the Superintendent/Assistant Superintendent of Schools on security matters. Coordinate and conduct district safety and security audits and make recommendations as required to central office administration. Consults with school based administration and other personnel on methods of increasing safety and security in and about the premises of each school. Ensure proper operation of all district security cameras. Maintain records and information necessary for school, district and court proceedings related to school incidents in accordance with the District’s records policy. As directed by the Superintendent of Schools, assist with and investigate as necessary district-wide residency issues. Responsible for the development, revision and management of the district’s All Hazards Plan in collaboration with district administrators. Ensures timely submission of the All Hazards Report to CSDE. Maintains current and up to date training and knowledge of the best practices in educational security. Orders district-wide security supplies and equipment. Coordinate the issuance, deactivation and maintain updated listing of security fobs, swipe cards and building keys for all employees. Assist in interviewing district security staff. Perform all other District duties as assigned, which are necessary to accomplish the functions of district-wide security. High School Diploma or equivalent. Associates Degree or higher desired. Successful experience in law enforcement or related field is essential. Training in security for education organizations is highly desirable. Strong interpersonal and communication skills, a pleasant disposition and an ability to communicate with diplomacy and tact are essential. Experience with technologies related to safety and security. Serve the educational process by protecting student and staff members from harm while providing a safe, smooth, efficient and orderly learning environment for students of the Naugatuck School District. Enforces and ensures compliance of the rules, regulations and policies governing the order and security of the Naugatuck Public Schools. Develops and proposes new security policies and alerts school and central office administration to areas of concern. Working in conjunction with the central office administration, develops and implements oral and written guidelines and directives to subordinates. Advises the Security Director and Dean of Student Affairs on all security matters. Assist the Security Director and administration with investigation of suspected violation of the rules, regulations and policies governing the order and security of the Naugatuck Public Schools. Patrol school grounds and parking lots for unauthorized persons and/or vehicles. Assist with student escorts and interventions as necessary. Monitors student movement at NHS and CHMS during periods of congestion and as directed by the Security Director. Report all unauthorized student movement to the Security Director and Dean of Student Affairs. Establishes and maintains an informal information network with students. A minimum of two (2) years experience in a similar capacity is strongly preferred.